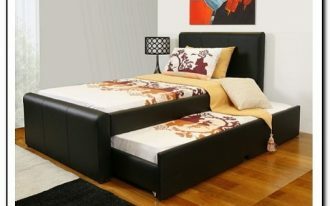 When you do not have a large space for your bedroom, you do not want to clutter it with your big furniture. 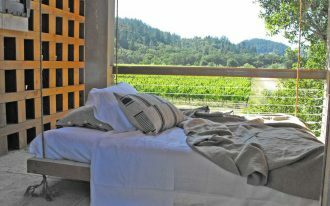 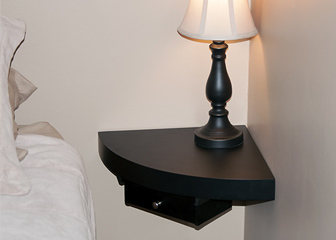 However, you still want to add a nightstand. 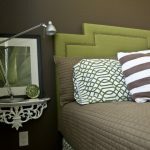 Thus, you can choose to have a floating nightstand to solve this problem. 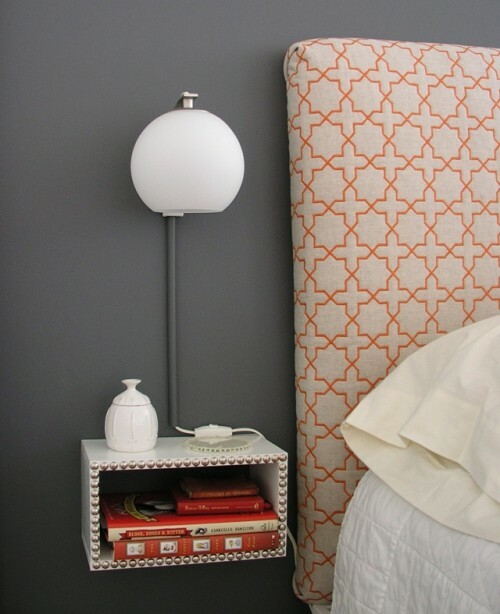 It is a simple nightstand where you can put your light, books, tissues, or glasses. 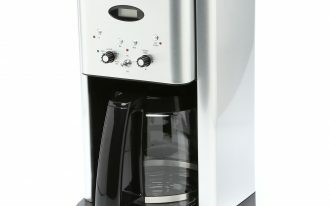 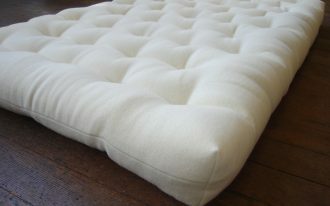 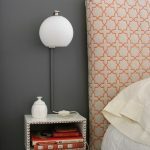 Besides, you can use the empty space below the floating nightstand for other things that you need. 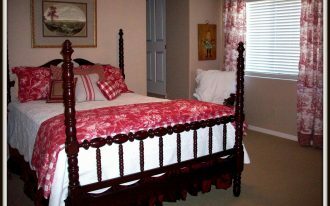 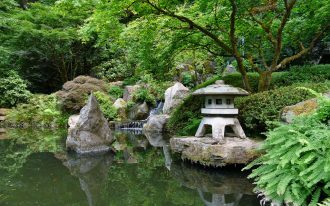 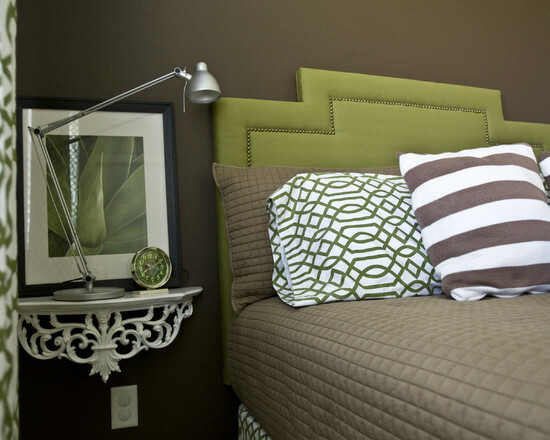 Here are some floating nightstand ideas related to the pictures, in which some of them are taken from Houzz. 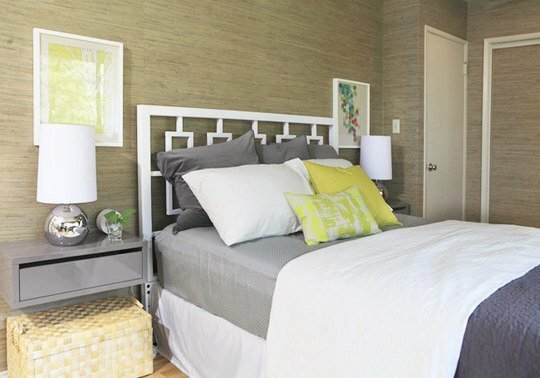 When your bedroom are surrounded with wooden style, you can add a wooden floating nightstand drawer to fit perfectly with your bedroom style. 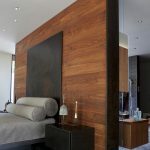 With the organic-shaped Tom Dixon Beat Pendant, the minimalist wooden style of your bedroom will still look modern and elegant. 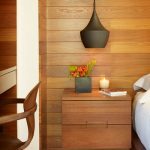 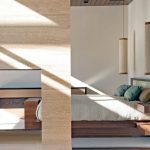 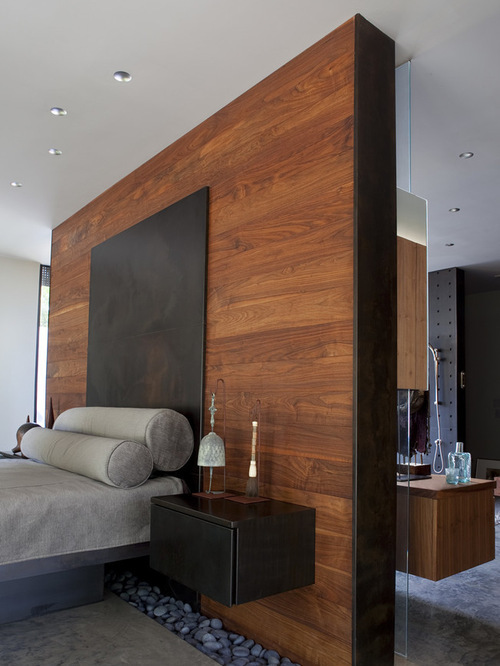 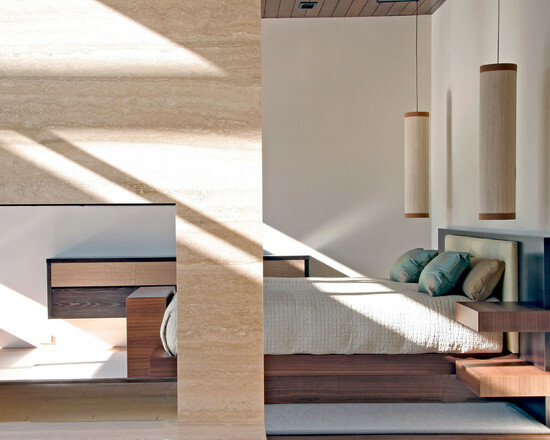 You do not have to always add floating nightstands for your wooden style bedroom. 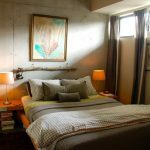 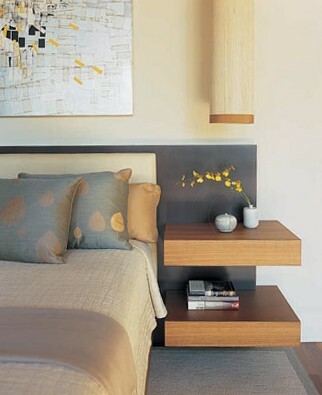 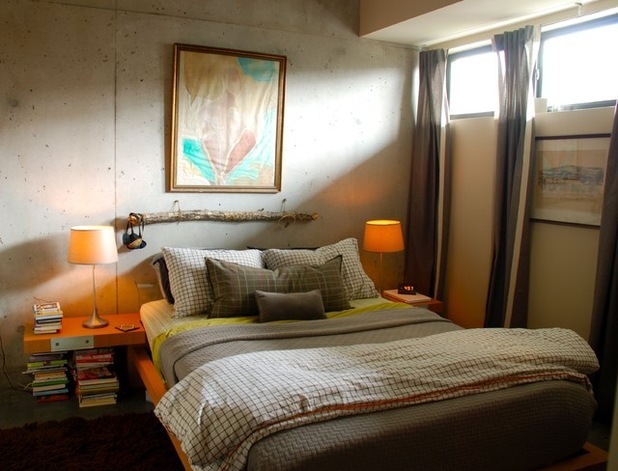 Steel floating nightstands also work well if you hang it on the wooden wall. 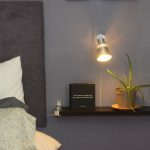 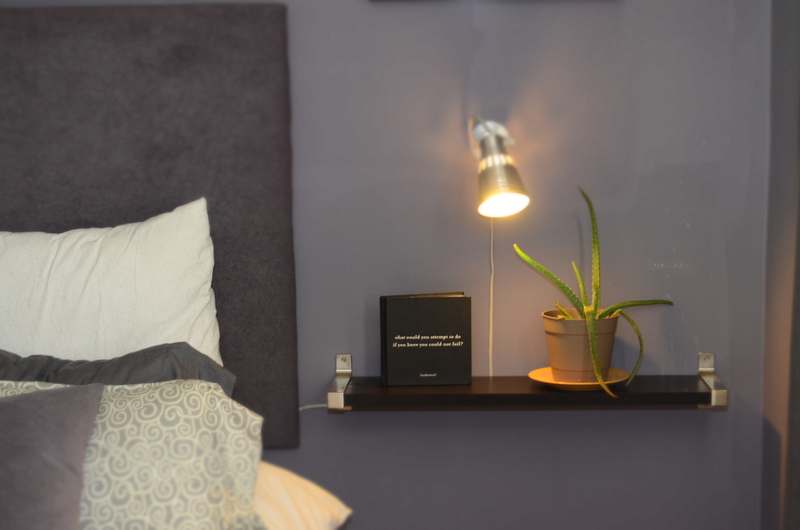 Another alternative is using a floating shelf for a nightstand. 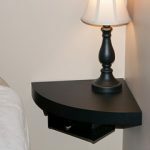 You have to make it sure that the holder of the floating nightstand is deep enough so it can hold your table lamp or alarm clock. 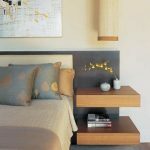 Although those floating nightstand ideas seem to be put in large bedroom, you can create or modify it into your own nightstand that fits your space. 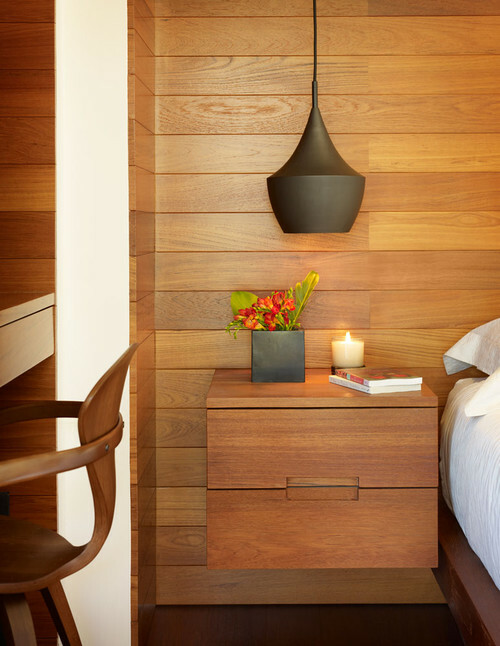 You can make it more simple with having only one small box to store some books and use the upper for placing other small things.